In the world of Airbnb and other online travel resources, you may think that working with a travel agency isn’t all that necessary any more. 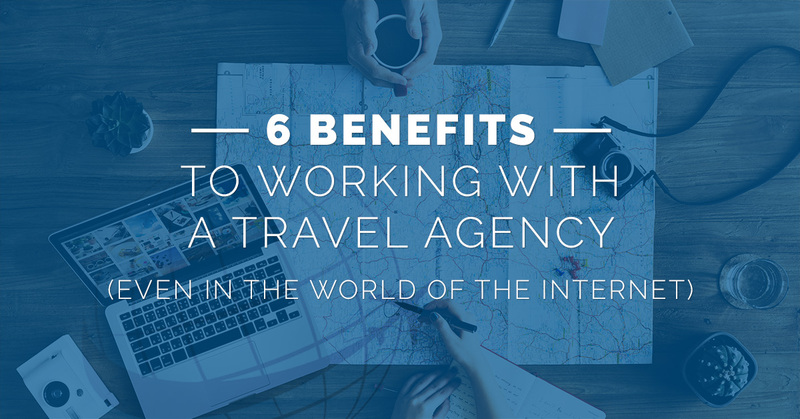 But even in the current day and age, there are a variety of benefits to working with an experienced travel agent that you simply don’t get by planning your trip online. It doesn’t matter if you’re simply too busy to plan your own trip or just don’t know where to start, travel agents can provide you with all the planning help that you need. When you travel overseas, this may be even more important. Planning a trip overseas, like a tour of Israel, can be exceptionally hard to accomplish on your own. International phone calls can get pricey and for the best rates at hotels, travel agents can work through networks that provide excellent deals for your needs. Instead of trying to navigate the muddy waters of planning a trip overseas in a different language, here are six benefits that an experienced travel agent can provide you. The number one thing that a travel agency, like World Express Travel, can provide every time, for every trip is a no hassle experience. When you work with a travel agent, you don’t have to watch for the best airfare details. You don’t have to track down each and every hotel. You don’t have to figure out how you’re going to get from point A to point B. You can even work with your travel agent in order to customize the services that you need support with, and plan the rest of your trip on your own if you’d like. The variability and customization that you can achieve with the help of a travel agent is virtually endless, and the best part is that you don’t have to do any of the leg work. You may assume that because you work with a travel agency, especially one that focuses on certain areas of the world, that you’re going to get the exact same experiences as anyone else. However, that’s simply not the case. Travel agents are able to provide you with a customized itinerary to fit your own, personal needs. That means that you get a say in exactly where you want to go, for how long, what types of hotels you want to stay at, and what you want to see, all with the expert guidance of a travel agent. In the same respect, if you simply want you trip planned for you, they can easily take care of that as well. World Express Travel is a unique travel agency compared to many. While we do plan trips all over the world, we have direct contacts in Israel that we work exceptionally close with in order to provide our clients with incredible travel experiences. These personal contacts in both the travel industry and in the community allow us to provide you with a unique and truly customized tour of Israel. No matter what your religious affiliation or your personal needs for your trip, we can work with you to create an experience you’ll remember for years to come. From experiencing Shabbat with a local family in Jerusalem to having the best tour guides in the area, World Express Travel can deliver. While some travel agencies will simply plan your trip for you and once it gets underway their job is done, that’s not how it works here at World Express Travel. We may be located in Southern California, but we make sure that we’re accessible to all of our clients worldwide. When you travel overseas, you shouldn’t be left on your own should something happen; you get the help and stateside support that you may need while you’re on your trip when you utilize World Express Travel. You certainly won’t get that when you book with a variety of online travel resources. The personal touch that we can provide sets World Express Travel apart from the rest. If you’ve planned a trip online on your own before, whether domestic or international, you know that the process can be exceptionally time consuming and more often than not, you probably forget something important when making your plans. This is the true benefit that a travel agent can provide: all-inclusive trip planning for you. Your trip can include everything; from meals and transportation to tours and all your hotel stays. Not only do you get to rest assured knowing that an industry professional is laying out your trip, you also get to know the total price of your trip up front. Opting for a customized, all-inclusive trip can help you to better plan for your vacation experience and it can still provide you with the flexibility you may want during your travels. While there are some great airfare websites, some of the best deals can still be found with groups that purchase tickets in large quantities, such as travel agencies. That way you don’t have to sit and watch your email like a hawk just to save 50 dollars. When you work with a travel agent, you’re working with someone who knows the industry well and can predict the highs and lows in airfare costs. In addition, here at World Express Travel, we’re one of the largest consolidators of airfare for Israel, making sure you get excellent prices from El Al and other major carriers. For your tours of Israel and other worldwide travel destinations, trust World Express Travel as the go-to travel agency for your needs. Contact us today to start planning your next trip.